There are few people who know who merits induction into the Baseball Hall of Fame better than those already enshrined. For Tracy Ringolsby, who was awarded the 2005 J.G. 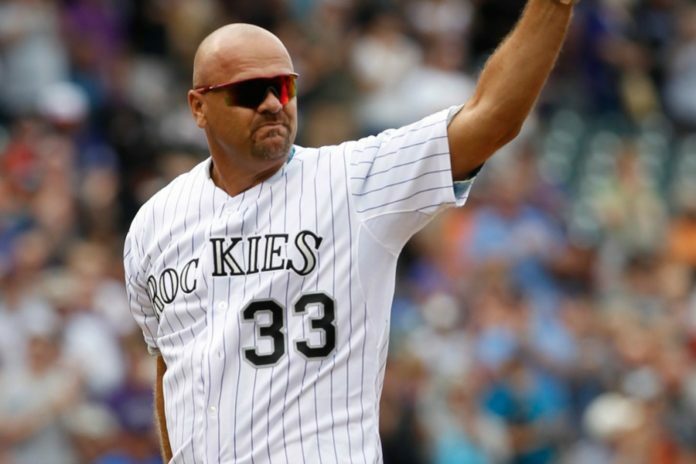 Taylor Spink Award, former Colorado Rockies outfielder Larry Walker is a Hall of Famer. 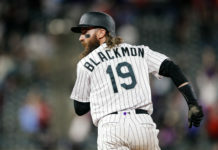 “I think Walker is the most overlooked player among any current player in Hall of Fame voting,” Ringolsby told Eric Goodman and Les Shapiro during The Afternoon Drive on Mile High Sports Radio on Wednesday. Ringolsby was in Colorado to witness firsthand when Walker was winning batting titles and MVP Awards for the Rockies. He finished his career with a .313 batting average, 383 home runs and 1,311 RBI. Still, in seven years on the ballot, he has failed to garner the necessary support; only appearing on 21.9 percent of the ballots this year. Many people think Walker’s strong offensive numbers are a product of playing for so long in the hitter-friendly confines of Coors Field. As Ringolsby points out, that’s simply not the case. 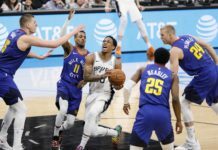 Whether you give Walker full credit for his offensive numbers or not, you have to take his defense into account as well; which, in a word, was stellar. Listen to the full interview with Tracy Ringolsby, including his thoughts on the steriod era and Nolan Arenado’s future with the Rockies, in the podcast below.